Legendary Oscar winners Robert Redford and Jane Fonda are set to reunite once again for a new Netflix movie known as Our Souls at Night. 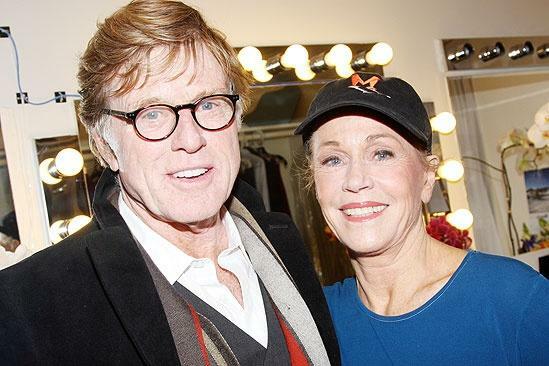 This will be the first time Redford and Fonda have been on screen together since Barefoot in the Park 48 years ago. This bit of news was announced over the weekend at the Toronto International film Festival. The film is an adaptation of Kent Haruf’s novel, which was published earlier this year. The story centers on two older neighbors who have both lost their significant others and are alone in their houses. They ultimately build a connection and reminisce about the olden days. Scott Neustadter and Michael H. Weber (500 Days or Summer, The Fault in Our Stars, Paper Towns), will be writing the script. No other word has been mentioned as far as the director and the rest of the cast. A release date has yet to be said.